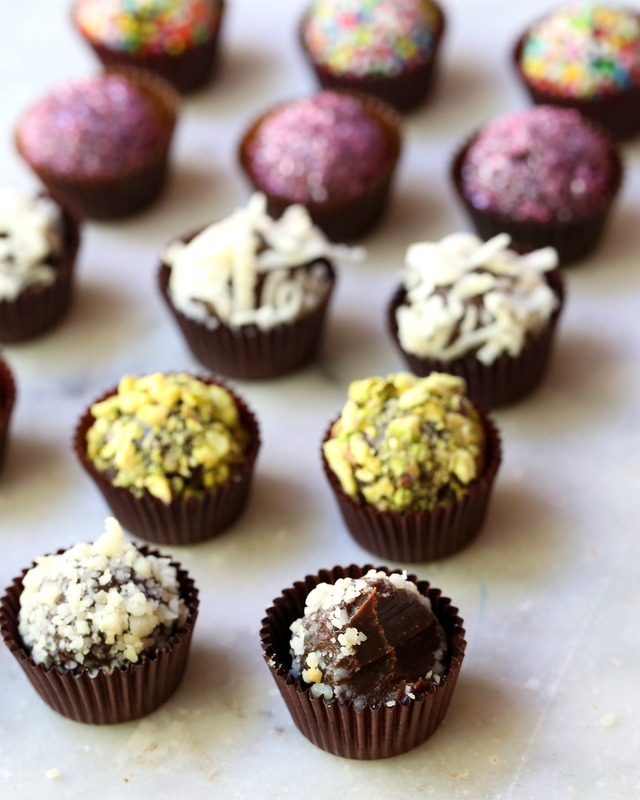 Brigadeiros are a small, intensely sweet chocolate caramel treat that are enjoyed at all every Brazilian party. 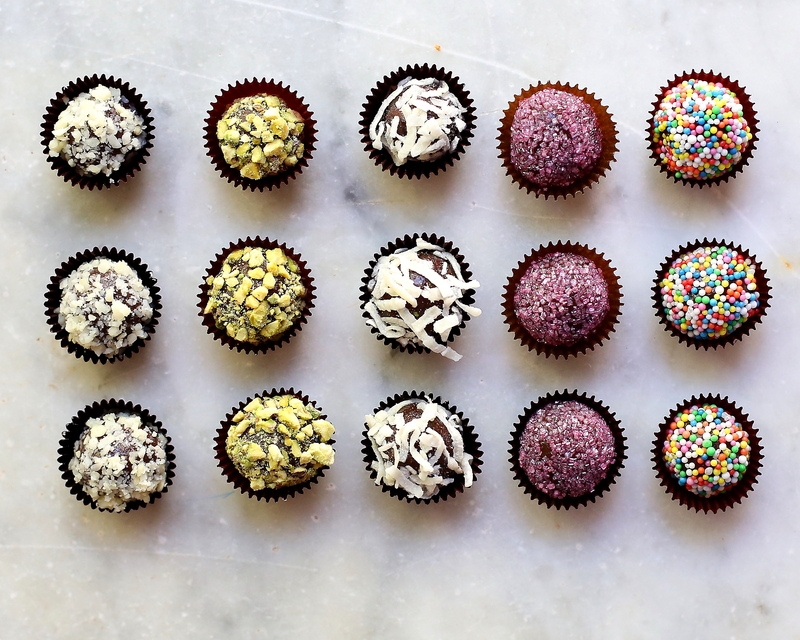 They are simple to make and may be decorated with a variety of nuts or sprinkles. Why not make a batch and decorate them with your team colours for your World Cup party! Place the condensed milk, cocoa, butter and salt in a saucepan on medium heat. Don’t be tempted to walk away! Stir, almost continuously, until the mixture melts to combine and then slowly thickens. It will take a good ten minutes. Pour the mix into a bowl and allow to cool. Place in the fridge until it is firm. Set out small bowls or plates with your decorations. Take the mix out of the fridge. Spoon out a small amount of the mix and roll into a ball. Roll into the sprinkles or nuts. If you live in a really warm climate as I do they are best stored in the fridge. Posted in Sweet Treats, UncategorizedTagged Brazil, food, food photography, football, soccer, World CupBookmark the permalink. lovely presentation for delcious recipe! I just learned about these!